Things we buy to cover up what's inside. 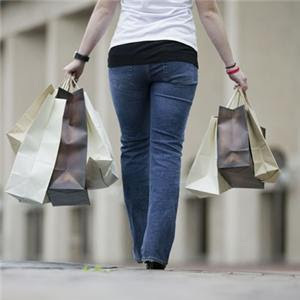 Have you ever bought things and later wondered why you did? Do you LOVE shoes, books, electronic equipment, clothes or craft items to excess? Are you addicted to internet shopping and then days later receiving all the "gifts" in the mail? I am and I'm guessing you are too. For me, shopping on the internet is almost an addiction... ALMOST. It's funny because I realize I'm doing it, and I know WHY I'm doing it, and yet, I keep on doing it. I have the most fabulous craft room you could ever imagine. Most of which was bought on sale or through Ebay. It's gotten to the point now that I can barely move around in that fabulous room. These things take up space and time organizing items over and over again. It's endless. AND, I seldom get to "play" with any of it right now because my days are spent babysitting and my evenings are spent putting my house back together from the day. But do you think I'd stop buying stuff? NO. Ok, I'll admit it... I'm a hoarder. Wow, did that ever feel good and bad to admit. Good because I know that seeing it for what it is will help me overcome it. But bad because never in a million years did I think that would ever describe me. 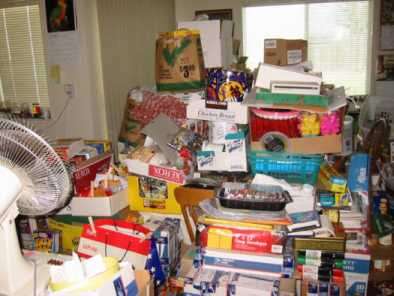 The house of a hoarder should look like this... RIGHT??? But I know I have the tendencies and if I don't gain control pretty soon, it will! It all started back in 2001 when my mom died and 2002 when my sister and I had to begin finalizing her estate. There were tough days and many HUGE decisions to make and handling my parents lifetime of "things" was really getting to me. In order to get through those times, I would block out the feelings and dangle a "reward" if I could make it through the day. The reward was usually a purchase of some kind. It was a momentary happiness but it didn't last. Shortly after her estate was completed, I started babysitting my grandson to help my daughter out. For the year or so prior to that, my life was my own. Days at the beach, biking, going to the gym and taking care of my husband and house. All these fun and freeing things pretty much stopped because it was difficult for me to do ANYTHING with a baby. Carrying diaper bags and carseats wrecked my shoulders and wore me out. Shopping was impossible! Until.... I found the internet. Minutes became hours and shopping online became my solace. Getting the items via UPS and Fed Ex was exciting... until it started to make my house and my life cluttered. And it's really like the words at the beginning of this post say, "Things we buy to cover up what's inside". Inside, I'm hurting, I'm conflicted, I feel guilty for wanting my freedom and my life back. But i do. So what's the solution? Well, first off, NO MORE SHOPPING for anything other than groceries while I access my next step. Cutting down or cutting out any babysitting other than emergencies or Grandparent time. I want to WANT to be around my Kids and Grandkids, not feel like I HAVE to be. Then have a few garage sales to weed out the unnecessary and get my house clean and organized. And last but not least, try to find my voice and be assertive about the new choices I'm making. I'm on my way to a "Happier Place".